Why was he not hunted ?...he lived in a free roaming area of 9 square miles but ...an area where hunting is not allowed....would he have gotten this big otherwise....maybe........He was pretty crafty and few knew of him even existing even though several people frequent the area hiking and walking their keenly scenting dogs....if he left the area and was seen by any bowhunter...I am pretty sure he would have been pursued to the extreme.....Are there bucks like this in other parts of Alberta where hunters frequent.....maybe....if there is ..those bucks are the most clever and secretive ungulates that grace this land....only to be taken if they make a mistake in their travels , or maybe during the rut when caution takes a sidestep to primal instincts, that costs many a buck their life. Wow, what a monster! Your story reminds me of one an acquaintance told me about 20 years ago. 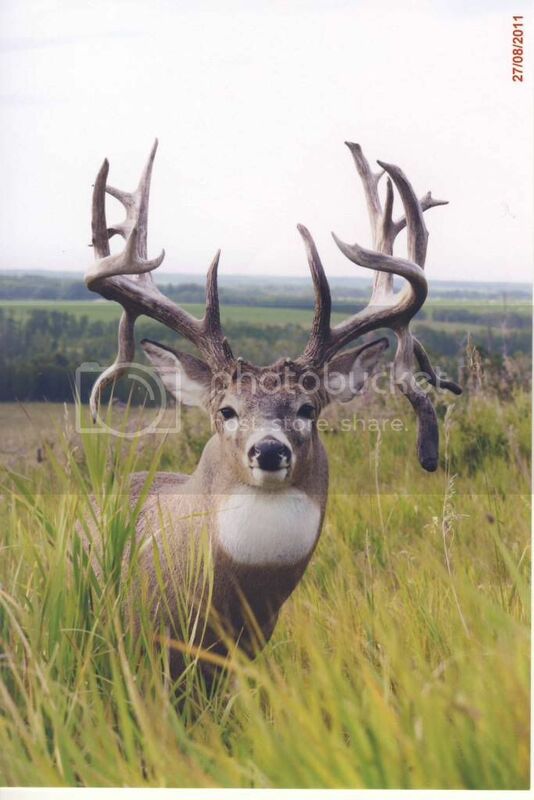 Here, in the Edmonton bow zone, is a community called "Blue Ridge" and he named him, appropriately - "The Blueberry Buck". This acquaintance, told me storys of multiple sightings, over about 3 or 4 years. 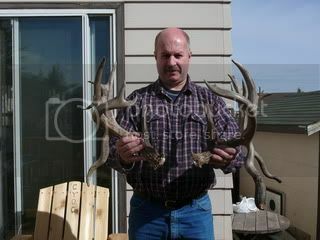 He found sheds but not complete pairs. The story ends the same - car got him. I really enjoyed you story, you have a gift for writing. Got more?